Château de Gaillon is a French castle situated on the River Seine about km north-west of Paris, in the department of Eure. 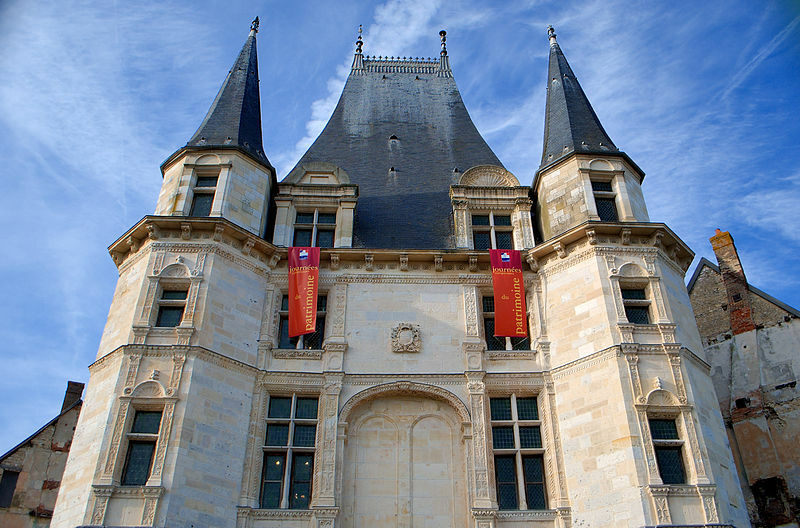 It is a medieval fortress, owned from 1263 by the archdiocese of Rouen, previously stood on the site, built around a quadrilateral courtyard. 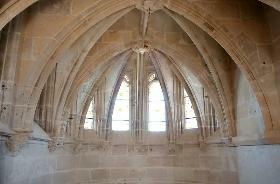 It was ruined during the Hundred Years War but was substantially repaired by Cardinal Guillaume d’Estouteville. 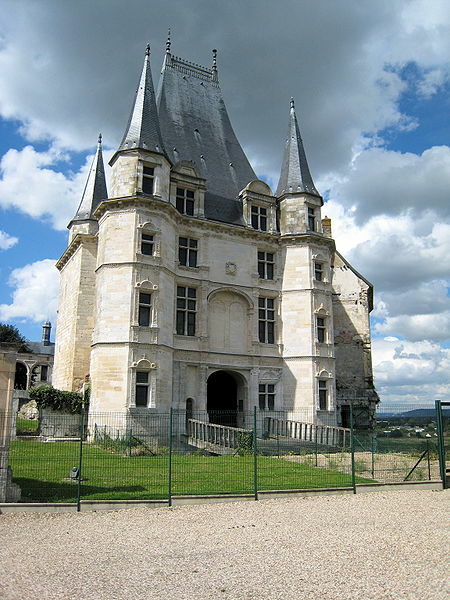 The Gaillon castle was rebuilt in the Renaissance style, its earliest manifestation in France, by Georges I d’Amboise, Cardinal–Archbishop of Rouen, who had served as governor of Milan. 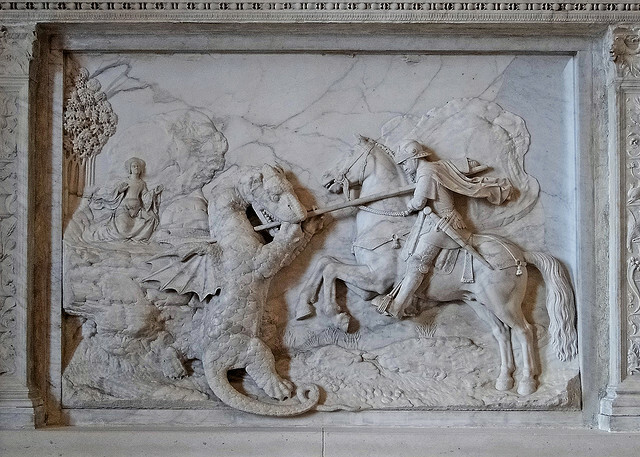 The gallery adjoining the Grant’Maison (rebuilt 1988) is evidence of the aesthetic changes and of the exceptional refinement of this skilful combination of Flamboyant and Renaissance sculpture. The courtyard façades were decorated with medallions of Roman emperors and of Mars and Minerva. There were also statues of King Louis XII (now in the Louvre), Georges I d’Amboise, and his nephew, another Cardinal–Archbishop of Rouen, Georges II d’Amboise. 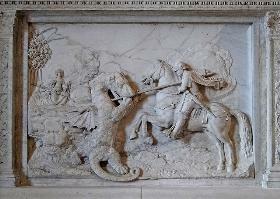 In the centre of the court stood a large fountain (now at the Château de la Rochefoucauld in Charentes) . 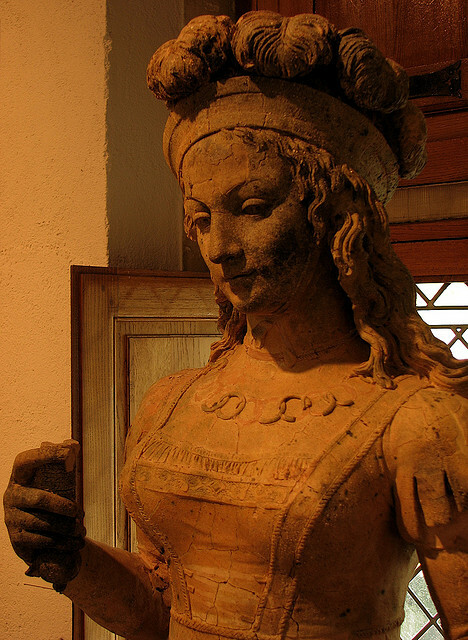 The château was confiscated by the Revolutionary authorities and sold to a M. Darcy, who dismantled it and sold architectural elements piecemeal in Paris until 1809. Parts were bought by Alexandre Lenoir for his short-lived Musée des Monuments Français, Paris. 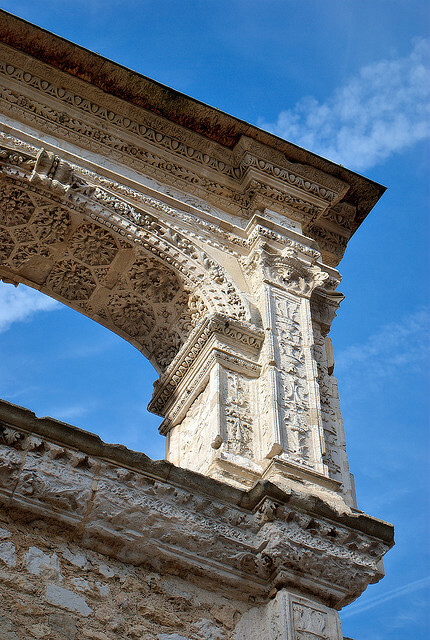 After its closure, the Gaillon fragments were re-erected in 1834 by (Jacques-) Félix Duban in the main courtyard of the Ecole des Beaux Arts, Paris. 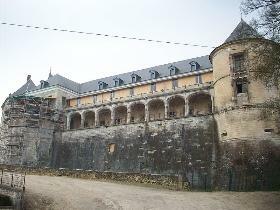 From 1975 they were returned to Gaillon as part of an extensive restoration programme. 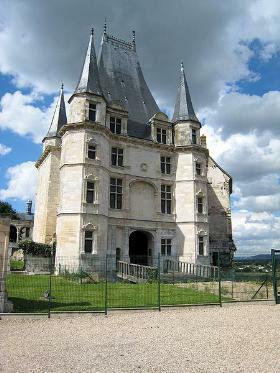 The access to the Gaillon Castle is provide only by guided tours. 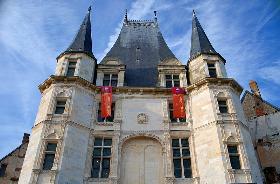 A tour will last 1,30 h.
The Tourist Office at 02 32 53 08 25 and the Gaillon Town Hall at 02 32 77 50 00.